Don't obsess over missing out on Fall Creators Update (FCU), you're not missing much - on Mobile, at least. 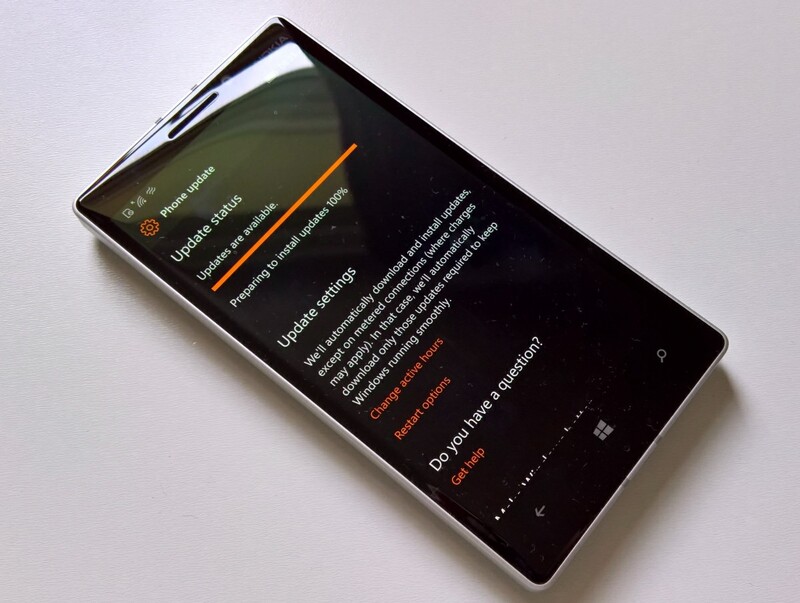 I write this for all the Lumia 640, 735, 830, 930/1520 owners who have been following along at home with AAWP, accessing all the various official production and Insider-level updates. You'll have ended up on Creators Update, but don't lose sleep that you're not on FCU, you're not missing anything important. Really. It's something of a common misconception that the best branch/version of an OS to be 'on' is the latest. After all, newer is better, right? Well, not really. In fact, rarely. The number of iPhones and Android handsets that have become slow and klunky after being advanced one major OS version too many are legion. And let's not forget, closer to home, the way Windows 10 Mobile itself runs slower on existing and older hardware than Windows Phone 8.1 did. So it's a common issue and cross-platform. However, Windows 10 Mobile is better off than either iOS or Android in one very important way: Microsoft commits to issuing important patches and security fixes to all supported branches of Windows, even though its attention is very much on the latest branch, the one where the main development is happening - on the 'desktop', at least. So, in the context of Windows 10 Mobile, let's say you have an old Lumia 830 that was upgraded to Windows 10 Mobile but that you haven't ever gone through the Insiders programme with it. As such, it'll still be running Windows 10 Mobile 'Anniversary Update' (AU, a.k.a. Redstone). Ahead of it in the timeline are 'Creators Update' (CU, a.k.a. Redstone 2) and 'Fall Creators Update' (FCU, a.k.a. Redstone 3), but that doesn't matter. When 'Patch Tuesday' rolls round each month - and until the end of 2018, at least - that old, relatively unloved Lumia 830 will still get an appropriate set of bug fixes and patches. In other words, updates are issued separately for all supported branches of Windows 10, with the same issues fixed in the same modules, but set into an update package that's appropriate for the branch concerned. You'll have spotted the recent fixes for the Spectre vulnerability in all modern phone chipsets that rolled out recently, a perfect example of Microsoft's commitment - in this regard, anyway. Sync your settings using Azure Active Directory (AAD) Identity. So there's every reason why someone with a phone on AU should have made a big effort to get it onto CU, which is why I made a song and dance about it almost a year ago. However, the actual functionality differences from CU to FCU are much, much smaller, not least because the decision had then been made at Microsoft to split Windows 10 Mobile off into a different branch timeline, so that faster development could happen on the Desktop, with a much larger installed base. So in terms of front end functionality, Fall Creators Update just brings in some more emoji and a little more eye candy in the UI. That's it. Whoopie doo. In other words, in plain English, if your Windows 10 Mobile phone is currently on CU then there's almost zero point in jumping through hoops to trick Microsoft's servers into dishing up FCU - you won't gain anything significant and you'll just be wasting time. PS. This also applies as a response to those people getting hot under the collar because their (e.g.) Lumia 640 wasn't getting FCU pushed to it - the upgrade simply isn't a big deal when all the important security fixes are available to all branches!